Kizi Garden is proud to introduce you its very first compilation. 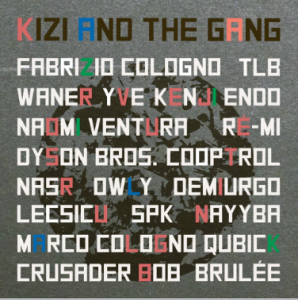 19 of our artists put their hearts together to make you groove and to celebrate the one yeat anniversary of Kizi Garden Records ! This year has been eventful, we met a lot of new talents, faced new challenges. Kizi & the Gang is the occasion for the label to gather all our artists scattered across the world in one space. This compilation is the extent of the family were trying to build. In it you will hear new artists with upcoming releases on Kizi Garden and all the artists already present in our past releases. They are people we want to build a long and lasting relationship with. They’ve got skills. They are passionate. Were bound by the music. PART A – Hear their call : TECHNO ! PART B- Hear their call : HOUSE !